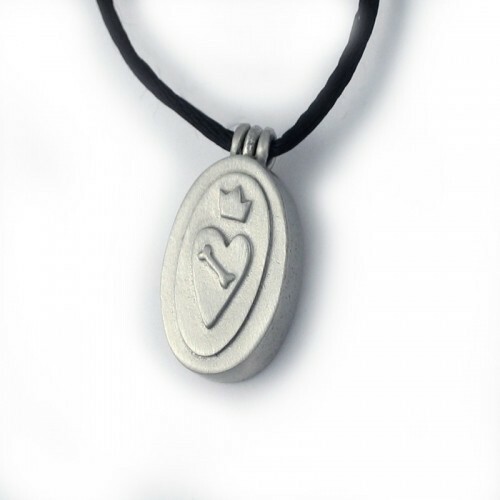 This pewter locket pendant, handcrafted by American artisans, swings open to reveal its special message inside. "Love your Dog" on one side and "Know True Love" on the other. This pewter locket pendant, handcrafted by American artisans, swings open to reveal its special message inside. 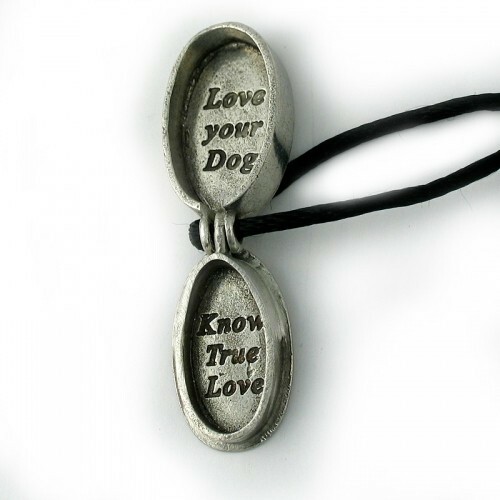 "Love your Dog" on one side and "Know True Love" on the other. It is meant to remind you of your pet whether traveling far or just around the corner. 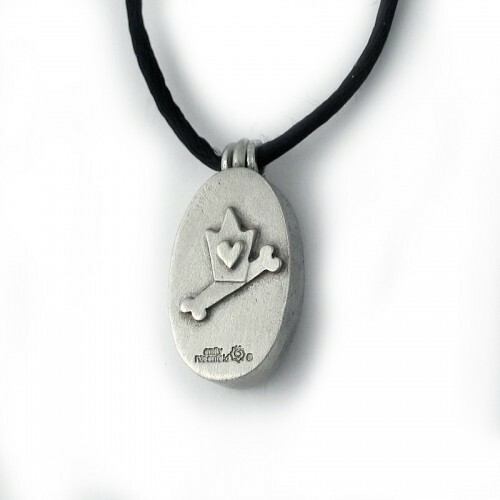 The design motifs on the outside of the piece are of a heart, crown and dogbone. It measures 1" long and comes on 30" black rayon cord.